Jana: Tell us about yourself and how you came to start Liliaiya? Liliaiya was founded by two childhood friends: Maryam Solati and Noor Salih. Mixing friendship with their love for fashion, coupled with their mutual dream of a clothing line, it was an almost inevitable romance. Both ladies don’t have the typical designer background. Noor, the business brain behind the brand, has obtained a Masters degree in International and European Law from The Netherlands. Maryam, the creative force of the duo, has graduated in English translation but is truly an artist at heart. With both ladies practising photography religiously, they share an eye for capturing beautiful things. The idea for the brand was born out of their own wardrobe struggles, trying to find that perfect statement piece. “Just like the world is changing, so are our needs in fashion. Globalization is interconnecting cultures and we feel the need to accommodate to the multicultural women that we all have proudly become”. The slogan of the label “Designed in Dubai, made for the world” reflects this philosophy. As for the brand name, Lili and Aiya, it is the combination of their daughters’ names, who ironically happen to be best friends. Jana: What has your experience been like setting up a brand in Dubai? Dubai is the Paris of the Middle East, fashion-wise. With lots of brands emerging, from abaya to jewellery and haute couture designers, the Arabs are successfully leaving their mark on the fashion industry. Liliaiya has been received with open arms right from the start. In less then four months from the launch of the first collection, it has been stocked in four boutiques across the region: Dubai, Kuwait, Qatar and Saudi Arabia. We believe its success is in the fact that it is filling a gap in the existing market. It aims to accommodate both covered women who want to look modest without compromising their sense of fashion (and let's face it, it's sometimes just too hot for layering). As for everyone else, they can simply wear it as a statement piece on its own, with leggings or a short skirt. Jana: Who or what do you have in mind when working on your designs? Liliaiya caters for the distinctive, fashionable, multicultural woman. Bold, with an absolute ease about it. Effortlessly elegant. The innovative idea here is that in the design process we have the multicultural woman in mind. We take that woman’s perspective as a starting point; her boundaries are respected and incorporated in the early stages of the design process. However, that same woman is fashionable and will not settle for less then a cutting-edge design. It’s a way of thinking beyond the box. Transcending designs for women across cultural and religious boundaries. We strive to offer fashion that is suitable for every woman. Leaving the categorizing behind to truly cater to the diversity of beautiful women out there. Jana: How do you like to style your shirtdresses? Styling is an individual reflection of personality. The capsule collection features 7 styles of shirtdresses, each unique in its own way. They are original, comfortable; yet stand out in any crowd. It takes little styling to achieve an exceptional look. Pair them with black trousers, a neutral coloured scarf and your favourite coloured flats for a sophisticated yet laid back look. For a sporty take on it, high top sneaker and shorts or leggings give it a young and edgy vibe. 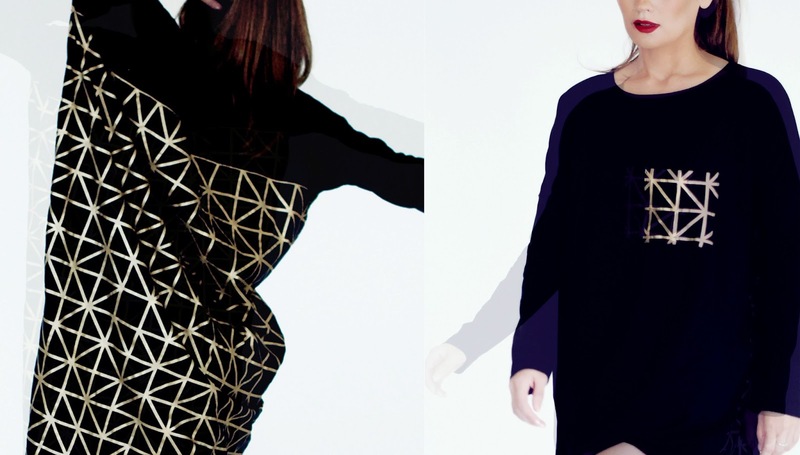 Jana: What's next for lili.aiya and how can we get hold of your designs? The future seems bright for Liliaiya. The success of the capsule collection has given us the motivation and courage to work on a larger collection. Geometric prints, nudes with golden nuances and beautiful constructed fits are what should be coming your way! Stylish, yet breathable fabrics are a prerequisite of Liliaiya. A signature hand-constructed design is our cherry on top. Inspired by Maryams’ painting skills, we are replacing the canvas with fabric and putting some fun into this particular design. Being perfectionists we like to take our time tweaking the final bits and pieces together. Since we are not following the conventional seasons for releasing the collection, it will take another few more months for the big reveal. Liliaiya can be found online on www.liliaiyastudio.com or on our Facebook page. This is a wonderful effort from all the girls and it seems they have entered into a new era of hijab fashion where they can play significant rold in hijab fashion all over the world. I love you girls, keep it up.